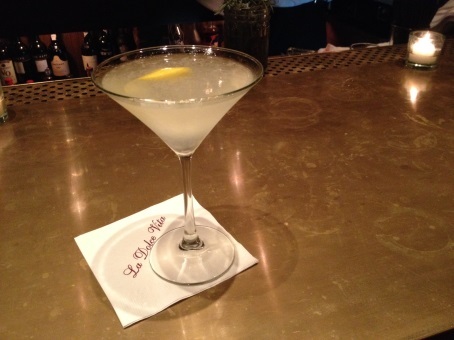 Come to La Dolce Vita after you mail off your taxes on April 15 for a The 100 martini made with Stoli 100 vodka, simple syrup, lemon juice and a champagne floater for $1.00. Limit: 2 martinis. Available 6 to 9 p.m., with the purchase of food. 9785 Santa Monica Blvd. (310)278-1845. 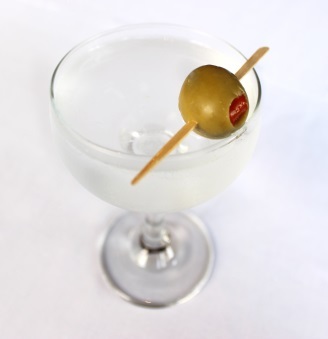 On April 15, celebrate with a Lucy Goosey cocktail made with grey goose vodka and ice-cold house stuffed blue cheese olives for .10 cents. Limit 2 martinis from 5 to 8 p.m. with the purchase of food. The Whisper Restaurant and Lounge is celebrating its 10-year anniversary at The Grove, by having a grand reopening. The renovation includes a new sophisticated, yet timeless interior and reimagined dinner and cocktail menu. 189 The Grove Dr. (323)931-0202. You can save on Tax Day at Plan Check Kitchen + Bar’s Fairfax Village. Take the edge off Tax Day on Tuesday, April 15, with a special Income Tax Cocktail ($4.15) of gin, dry vermouth, sweet vermouth, orange, and Angostura bitters served alongside dishes from Executive Chef Ernesto Uchimura such as Smokey Fried Chicken ($13) or gooey Pastrami Gravy Fries ($9). The bar’s cocktail program embraces sustainable, seasonal practices and utilizes techniques and recipes of bar masters using fresh squeezed juices, in-house infusions, homemade sherbet, jams, purees and fresh seasonal ingredients from Culver City Farmer’s Market. Come experience Southern Hospitality with live music and jazzy drinks from 5 p.m. to 2 a.m.
A haven for whiskey lovers, boasting a selection of over 100 whiskies including 60+ small batch Bourbons. Classically trained mixologist Cooper. 2939 West Sunset Blvd. Los Angeles, (323) 661-6007. Remodeled two years ago, this hip bat cave watering hole offers interesting entertainment every night of the week. Walk into the Little Cave entrance with distressed wood siding and an eclectic array of glass panel windows. Ten years ago, the 1933 Group opened La Cuevita in Highland Park to add to their stable of unique bars in Los Angeles. The bat cave theme of this bar includes Mexican festival prayer flags strung from corner to corner and kitschy Mexican art on the walls. Open nightly from 7 p.m. to 2 a.m. they offer Happy Hour specials from opening to 10 p.m. that include $3 Pabst beer and $5 cocktails and shots. On Tuesday nights, margaritas are $5 and tacos are free after 10 p.m. The last Monday night of the month, there is a tarot card reader, and complimentary Creole food prepared by Brun’s Creole Soul Kitchen. Saturday night is live Jazz.